LOOP CURRENT TESTER... Fix the Unfixable! 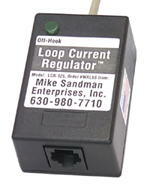 High Loop Current problems are causing service calls... and you may not even know it! 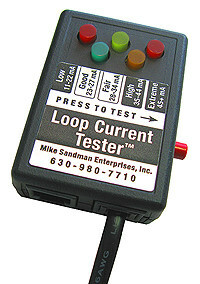 Our Loop Current Tester is the fastest and easiest way to check loop current - just push One Button. That's it! It's Line Powered, and there's only ONE Button to Push! 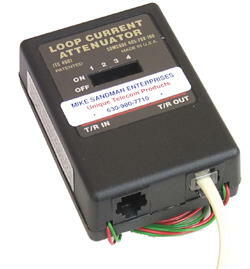 Because the Loop Current Tester goes anywhere across the line, our customers have told us that they find it a lot faster than getting out their digital meter and connecting it in-series with the line. Instructions and a diagram to measure loop current with a regular digital meter are in our Loop Current and Circuit Loss Tech Bulletin.